A green lake lays before my eyes, interestingly it is the thick sludge of algae who is the catalyst for such a beautiful emerald sight. It's almost sublime. Or sub-lime. Take it any way you prefer! Walking through the humid landscape it was truly like a hyper-real garden, almost synthetic because it was far too perfect, from the vertical gardens to the treetop greenery and the silk looking velvet texture of each and every one of those flower petals. 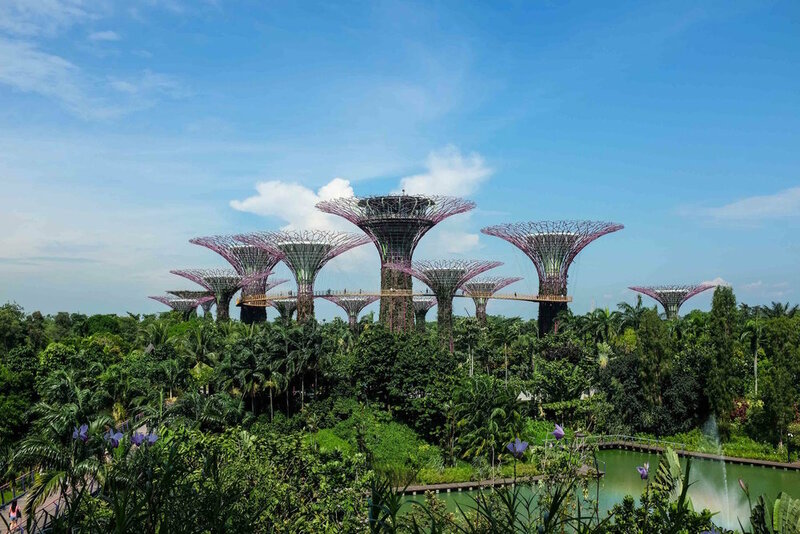 I'll admit that most times I visit Singapore, I never make the time to visit Gardens by the Bay, mainly stemming from the fact that my trips are such a whirlwind from visiting relatives and eating my weight in CKT aka Char Kway Teow. What a dream, first stop was Cloud Forest followed by Tulipmania at the Flower Dome. Cloud Forrest was spectacular, the waterfall and all the mist in the middle of steamy Singapore Marina --wow! The moment you walk inside you are enveloped by the cool refreshing breath of air from the world’s tallest indoor waterfall. The hero of the dome is the 35-metre mountain that you can climb through the tree top or cloud walkways and soak in the beautiful and lush tropical vegetation and flora, don't forget to explore Lost World which is the highest point of the mountain. 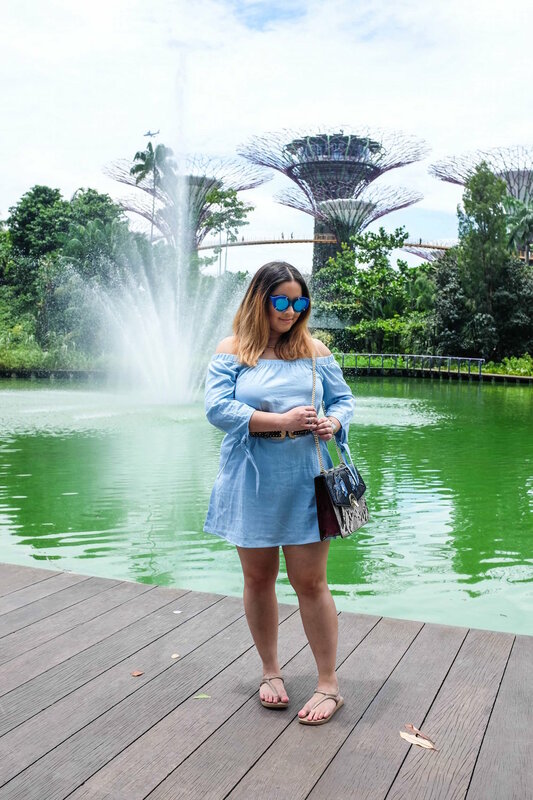 Wearing: Tobi Jessa Chambray Shift Dress from (here), Karen Walker sunglasses, MANGO Chain patched bag (here), Havaianas Sandals in rose gold (here). 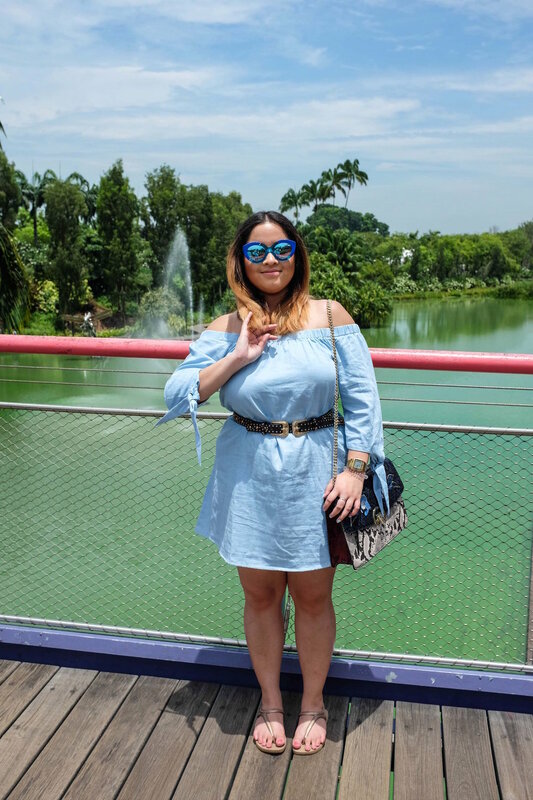 Wearing: Tobi Jeanie Off Shoulder Shift Dress from (here), Karen Walker sunglasses, MANGO Chain patched bag (here), Havaianas Sandals in rose gold (here). 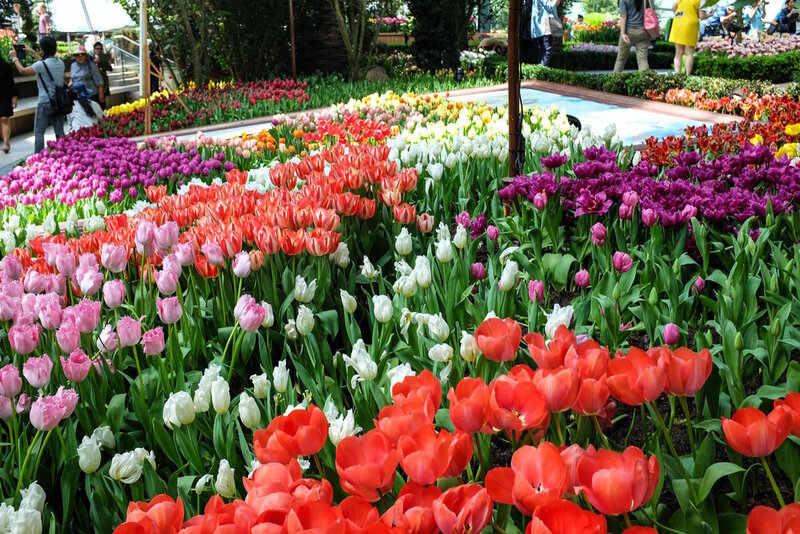 Tulipmania exhibits an array of beautiful tulips, inspired by the Impressionist artist, Vincent Van Gogh. 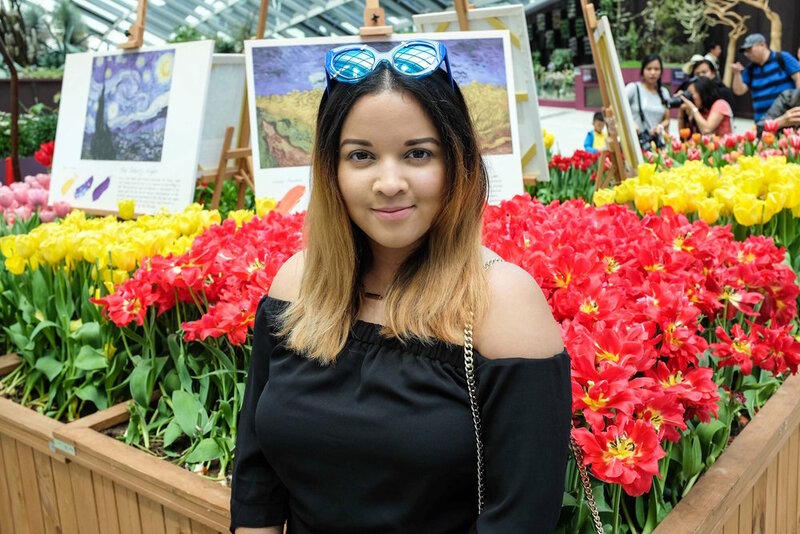 Apparently are over one hundred varieties of tulips and hyacinths on display at this exhibit, the colours were immensely vibrant and was the perfect way to bring Van Gough's classics to life. 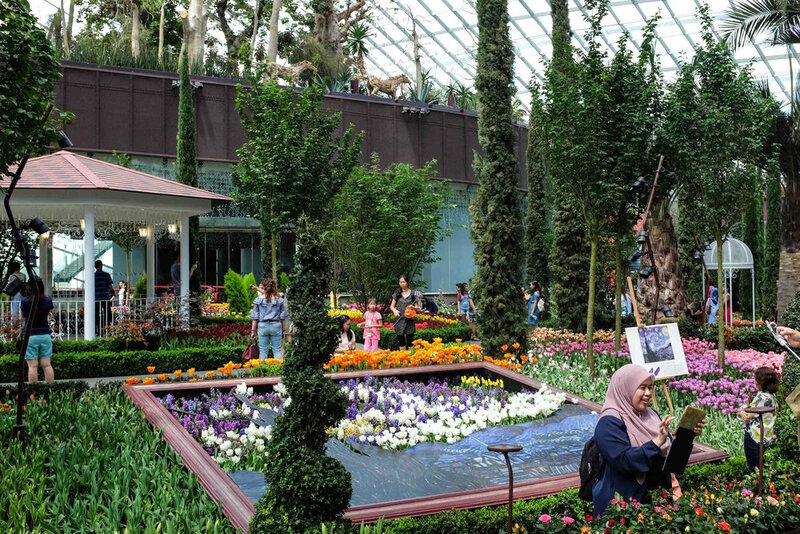 If you visit this flower dome, you'd be visiting one of the largest glass greenhouses in the world. 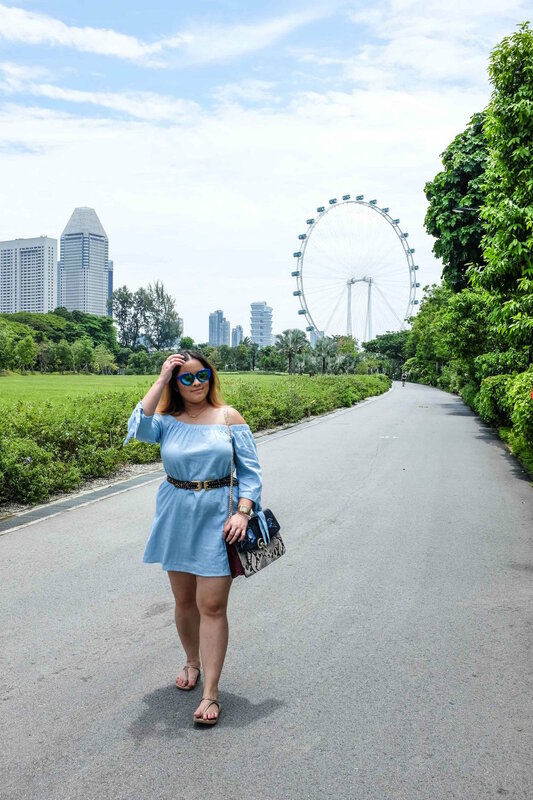 To make all the gorgeous hues pop, I wore these comfy off the shoulder dresses to keep cool in the humid weather. 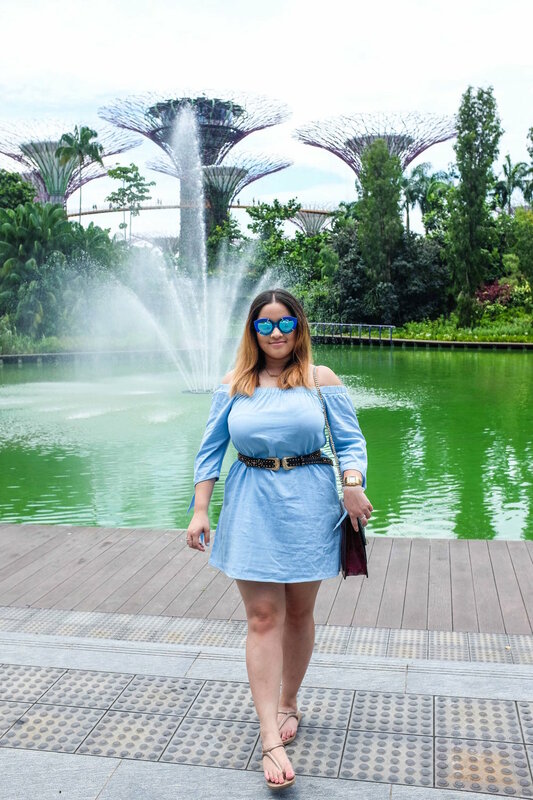 I love these Tobi off-the-shoulder dresses because it only takes a couple of accessories to elevate the look from casual to sophisticated - I've paired mine with some Havaianas sandals in rose gold and my new favourite Siamese fighting fish envelope handbag from Mango. I love that it's so flamboyant - yet contrasts perfectly with wardrobe staples.